Home › Academy › Help & FAQs › How do I modify the main page of the site? 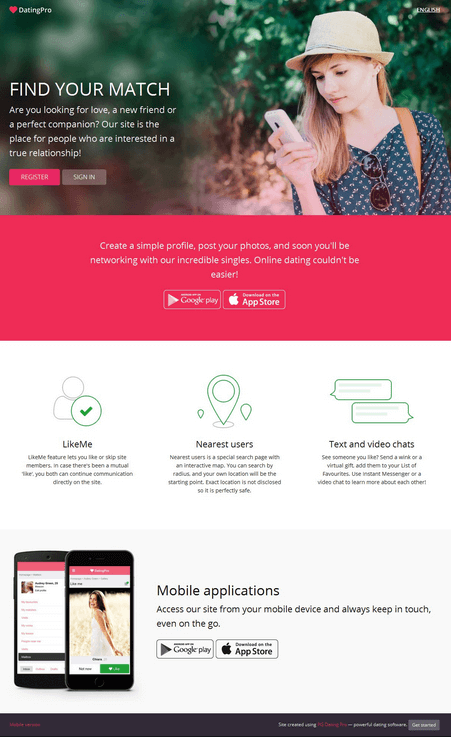 How do I modify the main page of my dating site? You may want to change the logo, the texts, links to mobile apps, main banner picture, and smaller pictures. We will tell you in details how you can do that. A logo may be a picture (‘pleasure’ theme) or a plain text (‘honey’ theme). 1.1. To edit the picture in the ‘pleasure’ theme, go to the administration panel > Interface > Themes > select the active user mode theme > click Edit theme. You will get to Theme settings (/admin/themes/view_installed/theme_id) where you’ll be able to upload a new picture under Logo editor. You will also be able to change the logo for the internal site pages here. View the detailed instructions. 1.3. If you want to replace this text with a logo image, there are 2 ways to do that. Please mind the height and width of the logo image so it does not come on top of the other page elements. After that, the logo changes from the Interface > Themes > Edit theme > Logo editor will apply automatically. Open directory/application/modules/start/views/flatty and in the file index_honey.twig find lines 127-130 and lines 176-179. If you only have an iOS or an Android app, remove the spare icon and the link by removing the corresponding <a> code. 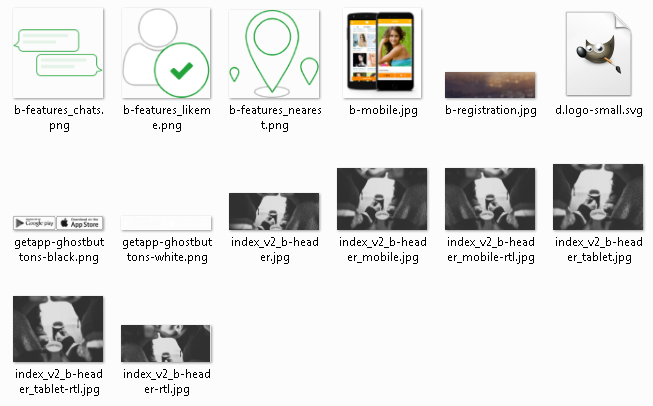 The same rule applies to the rest of the images in this directory. For information on how to change the copyright at the bottom of the page, visit this manual: How to change copyright on my dating site. Please let us know if you have any questions or improvement ideas, or would like us to add more information to this manual.